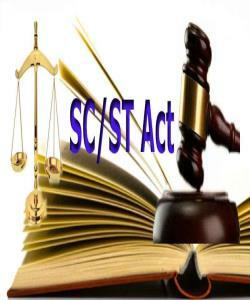 Ordinance On SC and ST Back Fired? Government tried to smoothen the feelings of SC & ST and hurriedly issued ordinance to set aside the ruling of highest court without realising its impact on other communities specifically of upper caste. Members of Parliament are facing a very tough situation while being on tour to their constituency. The aggrieved persons are blaming BJP and it's leader for such hasty steps and wants that the ordinance be withdrawn. Ms Riti, MP, had to face very hard situations and perturbed with all the questions on no protests by leaders of party of implementation, said with grief that if they want they can cut her throat for no protest of ordinance. Sources say this is not one case majority of MPs are facing similar situation.